On the list of Cobblers players who may feel they have a point to prove this season following events of the past 12 months, Kevin van Veen must surely rank at the very top. Rejuvenated, re-focused and desperate to prove a point, van Veen comes into the new season determined to put the horrors of last year behind him and use his first Town goal, scored at Carlisle United on Saturday, as a springboard for a more productive, successful campaign with the club this time around. The Dutchman’s arrival at Northampton on the penultimate day of the January transfer window generated much excitement, and understandably so given his past record. Here, fans thought, was the man to reverse Town’s ever-worrying slide towards relegation. But what conspired over the next four months could hardly have been further from the truth. Hampered by injury on his full debut at AFC Wimbledon and subsequent loss of form, followed by confirmation of the team’s relegation to League Two, van Veen’s social media accounts were the target of angry messages from upset fans who felt he had not given his all to the cause. The 27-year-old, who left play-off chasing Scunthorpe United to join Town, played through an ongoing knee injury but failed to score in any of his 10 appearances and it was thought that, following relegation in May, he would likely be on the move in the summer transfer window. “When I signed here, I had a tough time,” he confessed. “I played one game and picked up a really bad injury and people didn’t know that. “I got a lot of hate for it and a lot of messages on my social media. It was fair enough. In all honesty, I wasn’t good enough. “I tried to do my best but the injury was quite bad and I played with painkillers and all sorts to try and get myself back but it wasn’t enough. I’m pleased for him because he’s taken his opportunity and scored. It’s not a monkey off his back but he’s got his goal now and, this boy, if he’s anywhere near his level he’ll score 25 goals this season, he’s that good. 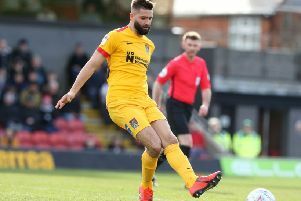 Despite rumoured interest in his services over the summer, van Veen remains a Cobblers player to this day, and having finally notched his first goal for the club with a well-taken header at Brunton Park on Saturday, he’s desperate to complete a ‘360 degrees turn’ and prove himself to fans. “Now it’s a clean slate and a new season and I’m really hungry,” he said. “I’ve been training with this group in pre-season and I know what I can do. I’ll tell you something, I’m going to score 20 goals this season. Going back to the time of his switch from Glanford Park, van Veen did not make the move south without some hesitation, which is understandable given the contrasting fortunes of the two teams. “To be honest, at the moment when I made the move, my head was still 50-50,” revealed the striker. “With Scunthorpe making the play-offs and Northampton in the relegation zone, it was a hard decision and Jimmy Floyd Hasselbaink, who was manager at the time, pulled me and told me to sign for Northampton. “I played one game against AFC Wimbledon and I damaged by meniscus and my knee bent and I never really recovered from it, but I worked hard in the summer and I’m now really hungry. 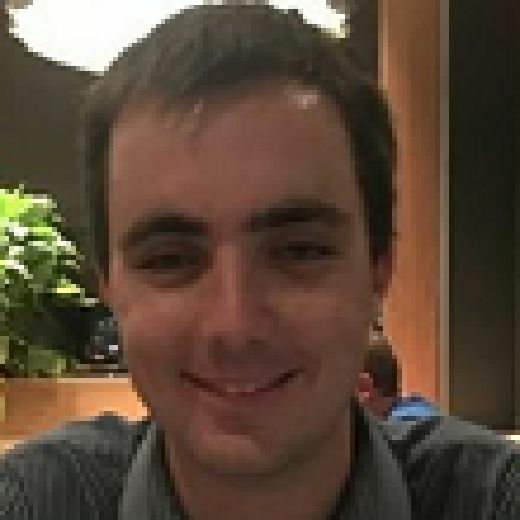 It is a fine line between confidence and arrogance and whether or not van Veen treads the right side of it will depend on following his words with actions. If he scores 20 goals and the Cobblers enjoy a good season, all will be well. For one thing, he has the complete support and backing of his manager. “Kevin is a top quality player and if you get him chances he’ll score goals,” said Dean Austin. “He knows what I expect and what the prerequisites are for pulling on a Northampton Town shirt. But to achieve his aim of scoring so many goals this season, van Veen will need regular starts and that’s far from guaranteed given the wealth of attacking options at Austin’s disposal. Andy Williams and Sam Hoskins started on the opening day against Lincoln before van Veen came in for the trip to Carlisle, but there’s also Billy Waters and new boy Junior Morias to consider. “To be honest I think we’ve got a lot of good strikers here,” added the Dutchman. “There are different types of strikers at this club but you need to think about yourself. After not scoring at all for the Cobblers last term, van Veen required just 40 minutes to get off the mark this season as he demonstrated his goalscoring instincts with an excellent first-half header at Brunton Park, using power and accuracy to loop the ball over goalkeeper Joe Fryer. After Jamie Devitt’s screamer had earlier put the Cumbrians ahead, Matt Crooks then completed the turnaround in the second-half, only for Hallam Hope’s instant equaliser to quickly drown out the celebrations and send Town home with a point and nothing more. “Personally I’m a bit frustrated because I thought we could have won the game but we didn’t really turn up and I feel we’re much better than we showed,” admitted van Veen. “Andy chipped the ball into the box and as a striker that’s lovely because you just anticipate where it will come and I thought I headed it in well. “It was a good time to score because we were 1-0 behind. If we can stop the type of goals we conceded we’ve got a team that can create so much, but we made some silly mistakes. “It was a good goal from us and I think the second was also a good footballing goal and Crooksy was on the end of it.